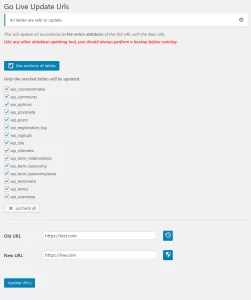 Change the domain on your site with one click. Change your site’s domain with confidence. 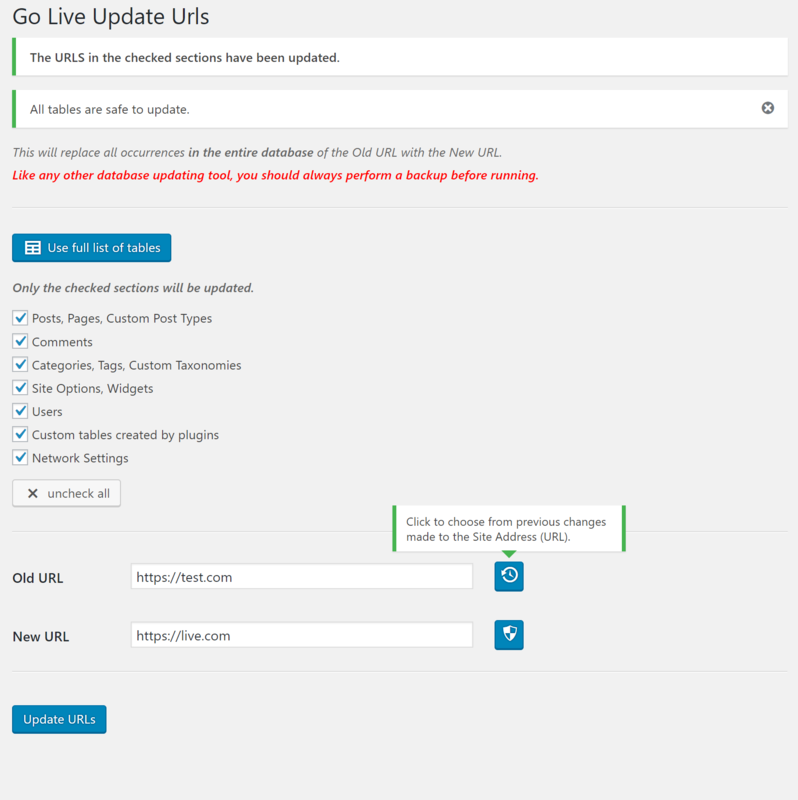 Go Live Update Urls PRO takes all the guesswork out of changing your WordPress domain. Click a single button and this plugin updates every URL on any WordPress site, including yours. Many WordPress plugins will create custom database tables and store serialized data inside of them. This can create a real problem when trying to replace a url. 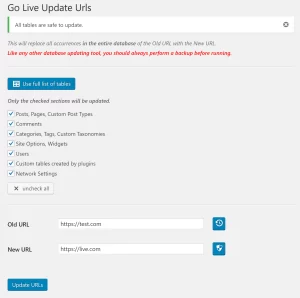 Go Live Update Urls PRO is the only plugin on the market that is smart enough to detect this type of data and update it without any issues. This detection allows this plugin to update only what is needed and keep things impressively fast and lightweight. Update the data created by your plugins with confidence. 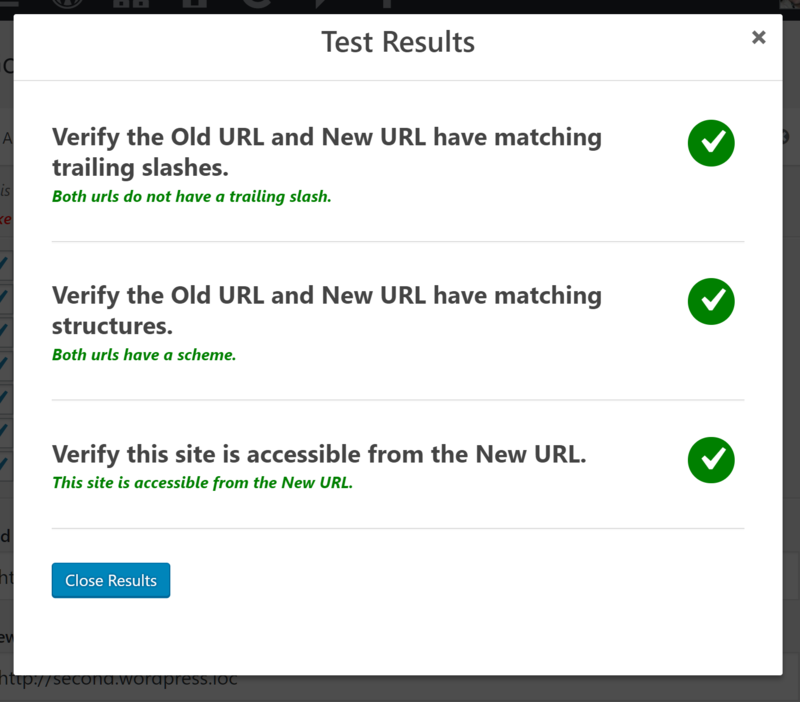 Before you make any changes to your site you can click a readily available button to test the new URL. This plugin goes through common mistakes and let's you know if there are any issues. If issues are found a option will be displayed to automatically fix issues for you. 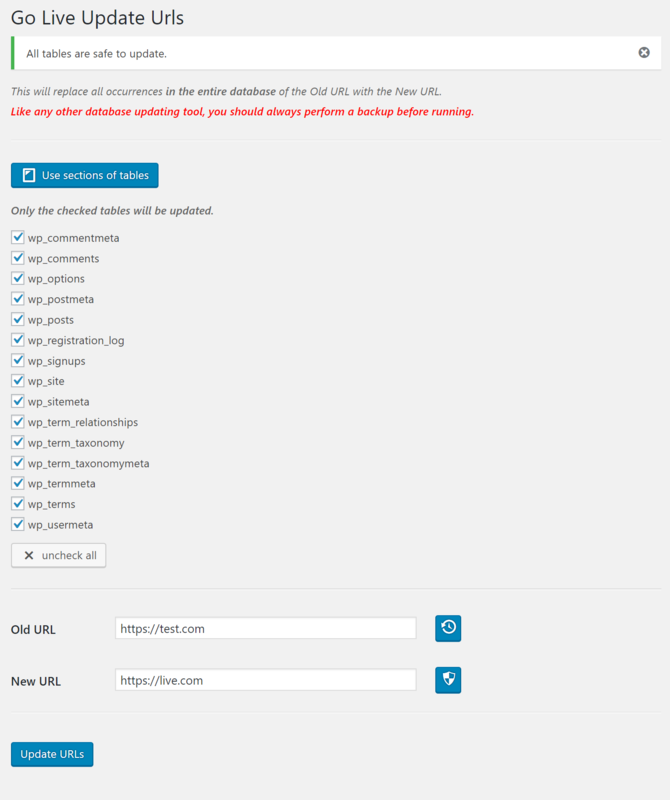 It also checks the new URL against your server to make sure everything is ready to go server-side. 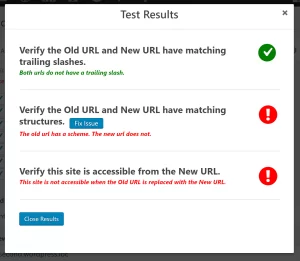 Catch issues before they happen with url testing. Once this plugin is activated, all changes you make to your site address via General Settings or Go Live, will be tracked and view-able. 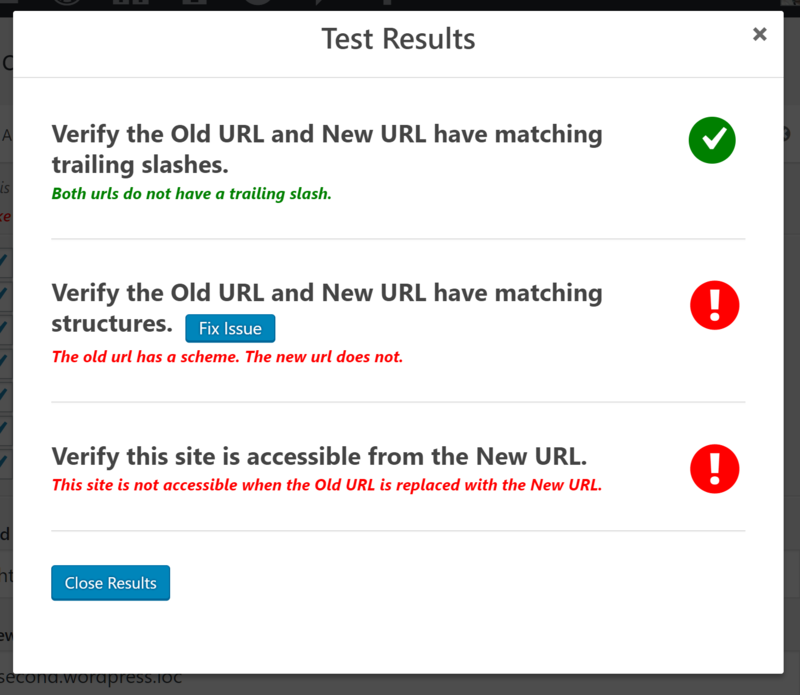 Not sure exactly what your old and new URL settings should be? No problem. 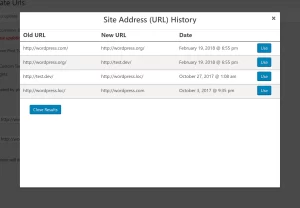 With Site Address History, you can see exactly what they used to be and what they are now. A convenient "Use" button will automatically copy the URLs from history to the correct fields. 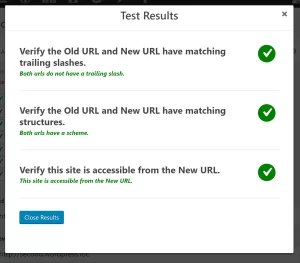 Updating the domain of your site just got easier with Predictive URLs. 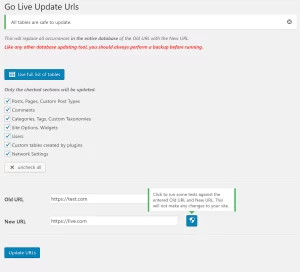 A commonly used workflow is to update the domain of your site using General Settings then head over to Go Live to change all the site content. Now this process is virtually one-click because the Old URL and New URL will automatically be filled out for you. Click submit and you are done. No more guessing and no more typos. Switching your site with this plugin used to take 30 seconds, now it takes 5. Sometimes you only want to change the domain on a certain type of content. Sometimes you just want to know exactly what to expect when you click submit. 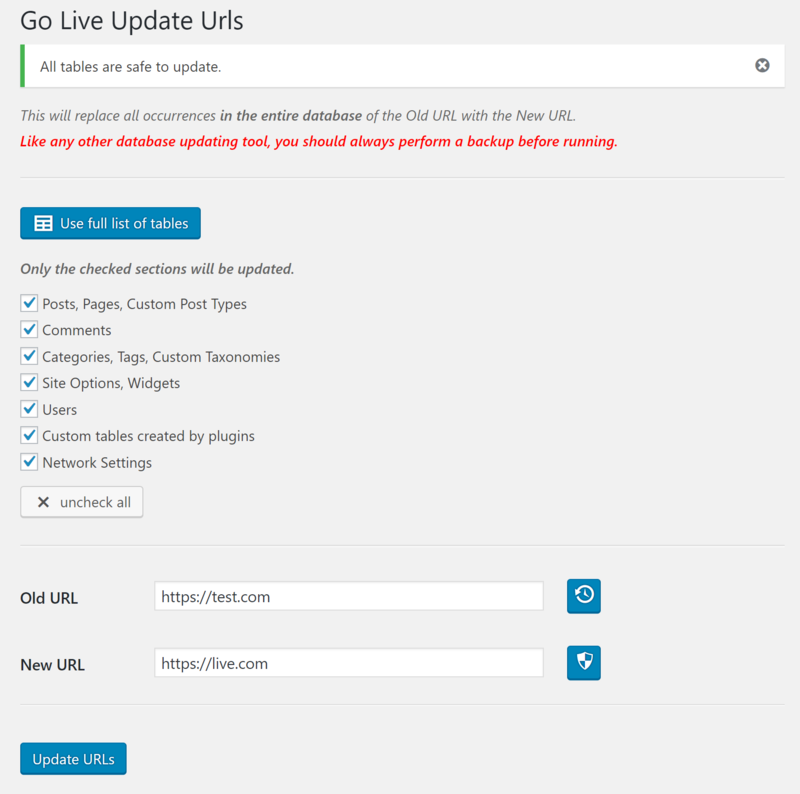 Go Live Update Urls PRO organizes your content into intuitive and understandable sections. 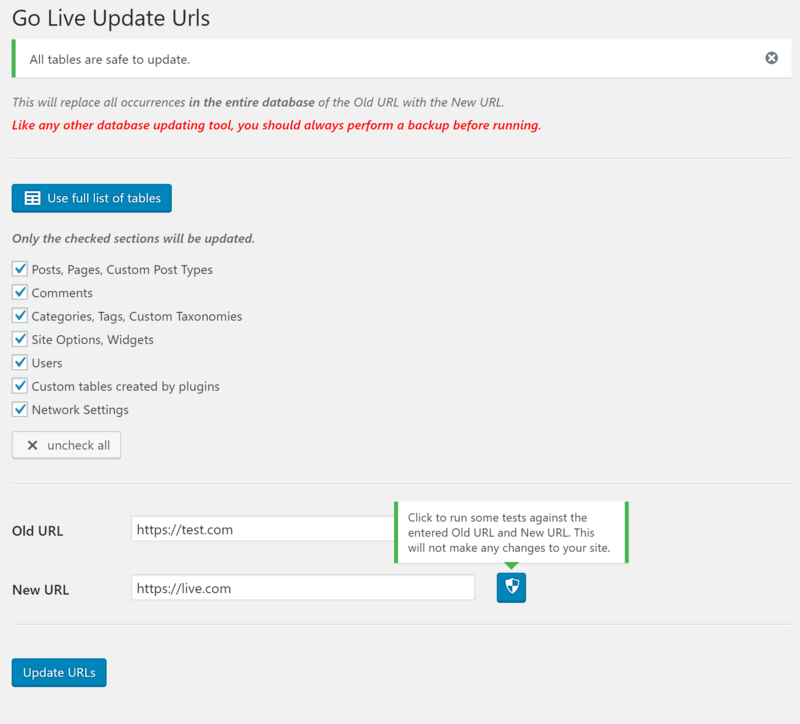 Simply un-check the sections you don't want to update and they wont. If you prefer to see a full table list, there is a simple button to click which will show you everything. Very easy to use admin page - which may be found under Tools. Updates page and post content. Updates database tables created by plugins without fear of breaking. I handled a migration from wp.com that ended up pulling in only some of the images. The Media Library was missing most of what should have been there. The images in the posts remained on the old server. They were loading, so without digging, nobody would notices those images were being remotely served until the old site was shut down. I had the uploads files themselves, but now I had to at least link to those on the new server. I disabled extra image processing (SmushIt) and worked the problem with plugins. I tried Auto Upload Images plugin, and it worked somewhat. It captured some of those remote images and pulled them in. Helpful, but incomplete. Those it captured did end up in the Media Library, so yay for that. Without a log, though, I don’t know what worked and what didn’t. For the rest, I figured I had to just change the URLs in the post content. I used Better Search Replace, and it caught a lot more references, but again missed many. I could not detect a pattern though. It was not timing out. It was just missing references in the Posts table. And it was finding references in other tables, including the options table. I went directly into the SQL table to investigate, but couldn’t find what it was seeing. I was using the free version of Better Search Replace, so I didn’t have any logs to refer to. 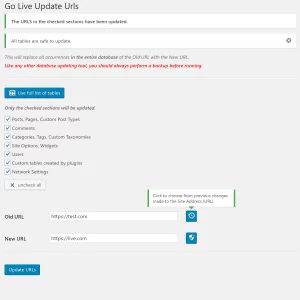 Because this is such a common problem in migrations using Export/Import, I kept looking for a plugin, and that’s when I saw Go Live Update URLs. I thought what the heck. And this plugin found what was not found by these other plugins. All of my img links to the old server are now pointing to the new site. Many images still exist only in the filesystem, not in the Media Library. But I can live with that. This plugin is now my first go-to next time I encounter this. As to why the other plugins and even direct queries to the database missed what this plugin found, I figure I must have done something wrong. Not escaping characters or something. I did not want to pay for a plugin so I tried every other plugin I could find that did search and replace and they all broke my site. I purchased this plugin and it worked perfectly straight away. The plugin ran so fast I thought it didn’t change anything, but it changed everything in one shot. I had no idea what I was doing but Matt walked me through the process which ended up being really simple. I used the free version many times without issue so $39.99 for a lifetime license on all of my sites seemed like a no-brainer to me. Well worth it. Boom! Faster than I could say boom, my site was switched. Everything switched including my visual composer content.